Camping Zum stillen Winkel är en camping i Bürder, Rheinland-Pfalz, belägen i skogen och vid en flod/ en bäck. Campingen har platser med skugga, utan skugga och platser med lite skugga. Det finns möjlighet att hyra bungalows. På campingen finns en lekplats och ett sportområde. För den sportige semestervandraren har campingen olika cykelleder. I den närliggande omgivningen kan du också simma en flod/ en bäck. Denna inspektör gör varje år ett besök på Camping Zum stillen Winkel och inspekterar campingen för ca 200 faciliteter och för andra förekommande punkter. Inspektören är en medarbetare från ACSI och arbetar inte för campingen. Lovely quiet site - great for a good nights sleep. Good sized pitches with water tap, electric and drain on each pitch. New amenity block which was excellent with ensuite shower rooms and laundry room. Kept lovely and clean - guests seemed to appreciate the facilities and used the mops provided. Good value with the ACSI card for such a lovely site. Cycle and walk paths nearby. We liked being away from the touristy sites along the Rhine and able to enjoy nature. Very relaxing. We camped here for one night with a tent. On arrival, we were told that the tent pitches were next to the beautiful river that runs by the campsite. We were also told that if you had a tent, you had to park your car in the car park section, i.e. not with your tent. I found this a little perplexing as there was plenty of space with the pitches and in the same section, there were caravans with the accompanying cars. I is quite annoying having to walk to the car to get things from the boot as and when you need them. What I then found really annoying, was discovering that the parking area was used \\\\\\\\\\\\\\\'unofficially\\\\\\\\\\\\\\\' as a football / badminton playing area. I own a relatively inexpensive car, but I take care of it and don\\\\\\\\\\\\\\\'t feel relaxed knowing that there is a risk of it being damaged. I would have preferred to park with my tent. We want the tentarea to be a relaxing place for all campers, especially for other tent-campers, and not a place where cars are constantly being parked and driven and where cardoors are being opened and closed regularly when the cars are being used as storagerooms. Therefore cars are to be parked outside the tent-area, but still not very far from the tentpitches (except for unloading or packing). The accompanying cars to caravans are not parked on the tentarea, but near the caravan-pitches. I hope you now understand our ‚parkingpolicy‘ for the tent-pitches and hope to welcome you another time! Vill du boka campingen Camping Zum stillen Winkel eller få mera information? Det går bra med nedanstående uppgifter eller via campingens webbsida. 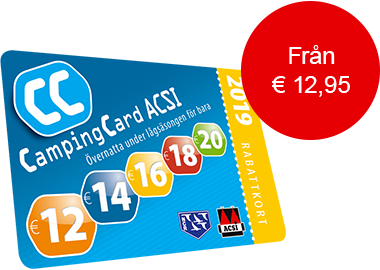 ACSI Eurocampings skickar din informationsförfrågan till "Camping Zum stillen Winkel".